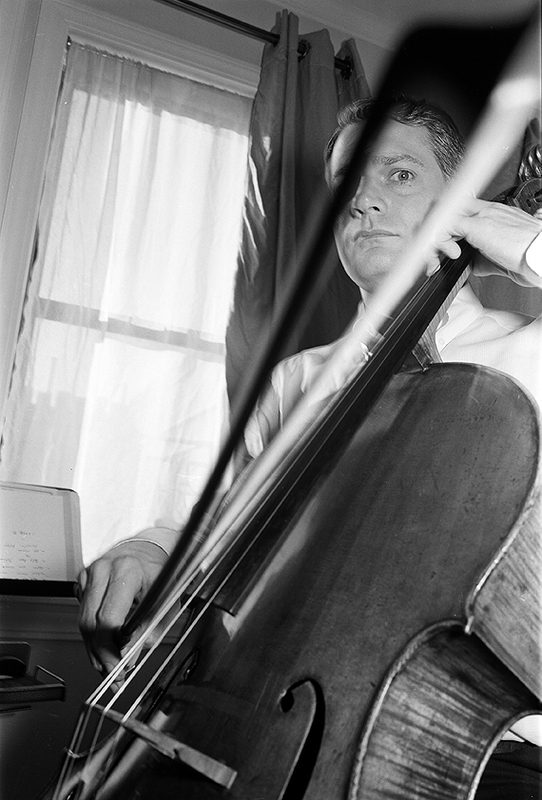 Peter Sachon Cellist. 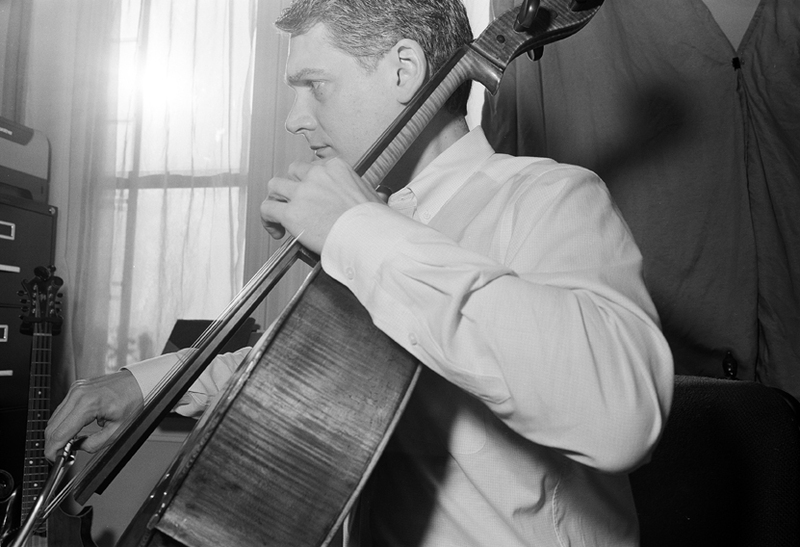 Peter was nice enough to sit for me in his sunny, cello* filled home in Washington Heights. This sitting is a continuation of my project titled City Cello, which I’ve been working on for over a year. You can see it here. 11×14″ A/P silver gelatin, archival darkroom prints are available for sale, signed en verso, on fibre based paper. Larger sizes available upon request. “In general, instruments have spruce tops, maple back and sides. New cello makers are starting to play around with those woods a bit. But that’s the established construction,” affirms Carol Johnson, co-founder of Johnson String Instruments. However, within that framework, there is a lot of variety. With the more expensive cellos, “you’re going to get instruments in which the wood is specifically selected for certain patterns and body shapes,” explains Carol. While the top and back of the body of the cello are traditionally hand-carved, a less expensive cello may be machine generated. But either way, the body’s beautiful curves are made by heating the wood, and bending it around pre-made forms. 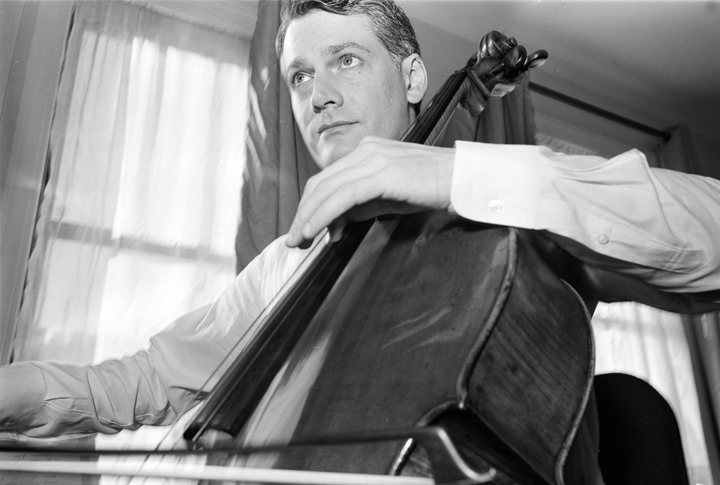 Internally, the sound and stability of the cello’s body are enhanced with the bass bar and sound post. The bass bar is an oblong piece of wood that is glued underneath the top of the cello body. The bass bar runs from the foot of the neck to just underneath the bridge. It reinforces the top of the body in order to support the tremendous tension of the strings (roughly equal to 80 pounds), and also helps transmit the internal vibration (sound) to the surface. 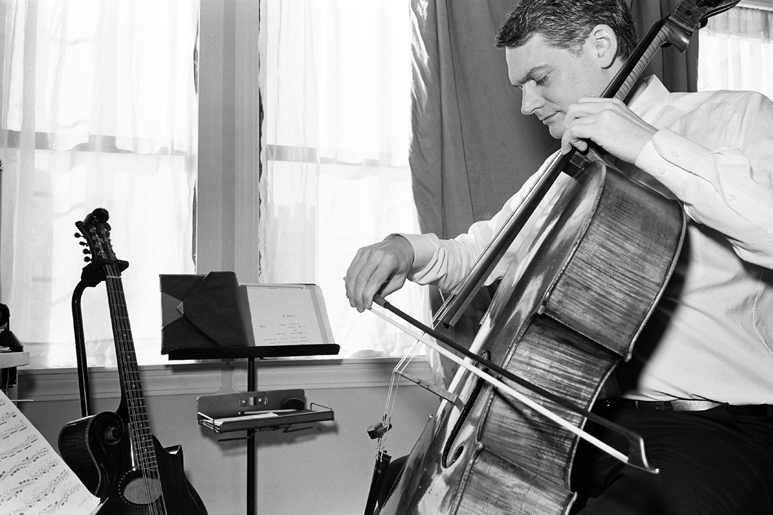 Additionally, the sound post helps to transmit the vibrations to the front of the cello (and to a lesser extent, the back).